Golf Waterloo | Is gripping it the real problem? Tension is a killer in the golf swing. It easily robs you of distance. More importantly, once it inhibits your large muscles, then accuracy and consistency disappear. In the last weeks I have picked out just four areas that impact on the performance of the golf ball. There are many, many more. 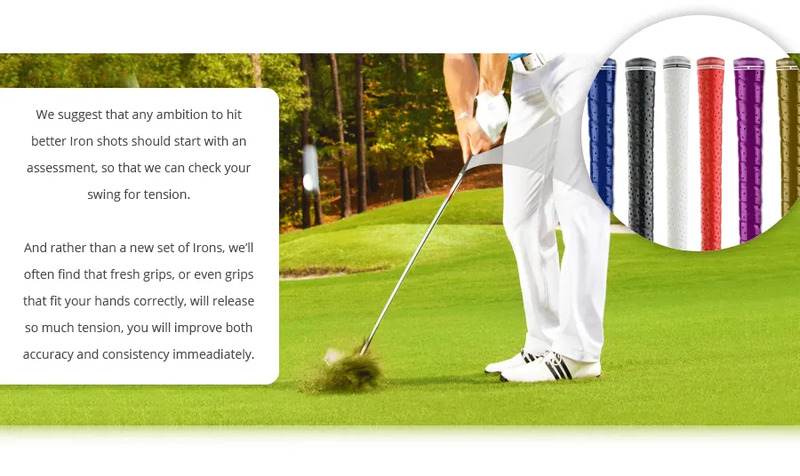 We’re not here to ‘fit you into new Irons’. Our job is to find the quickest and easiest route to better golf shots for you. It might be a setup change. It might be your shoulder turn. It might be something as simple as your golf grips. That’s why the best place to start on your journey to better golf is with an ‘Assessment’.